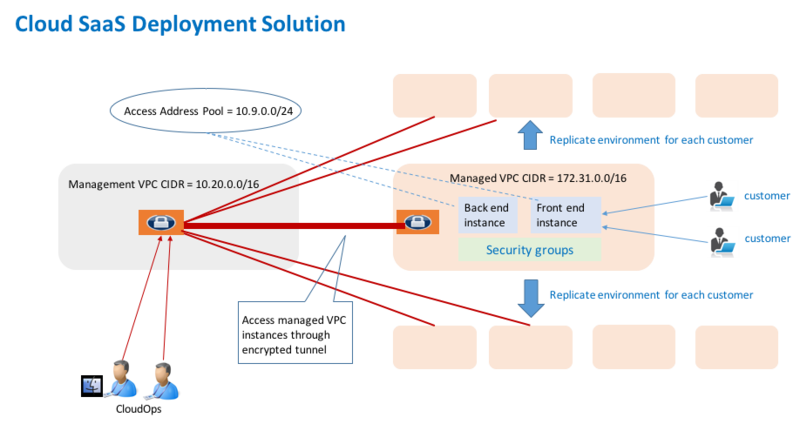 AWS Direct Connect and Azure ExpressRoute provides a private routed circuit to AWS VPC and Azure VNet. Aviatrix site2cloud feature provides encryption over Direct Connect or ExpressRoute. This document describes how to implement the feature over Express Route. The same method applies to AWS. The VNet VPN gateway that terminates the ExpressRotue connects VNet virtual machines with the on-prem servers in a traditional routing domain. While Azure ExpressRoute provides a private link between customer’s on-prem network and Azure VNet without going through Internet, packets between on-prem edge and VNet travel through exchange points and third party provider networks and are not encrypted. If encryption is a requirement for security and compliance reasons, this is a problem. Aviatrix site2Cloud solution can be applied to encrypt traffic over ExpressRoute, as shown below. In the diagram above, an encrypted IPSec tunnel is established between Aviatrix gateway and customer’s edge router. Aviatrix gateway is deployed in a separate subnet from the subnets where user virtual machines are launched. (The controller is not drawn.) This is necessary as the Aviatrix gateway is the router for user subnets to reach Enterprise datacenter. Aviatrix gateway can be deployed in a 1:1 redundancy fashion where a backup gateway is ready to take over should the primary IPSec tunnel goes down due to gateway VM hardware/software failure. Before you start make sure you have the latest software by checking the Dashboard. If an alert message displays, click !New to download the latest software. For the network design, you need to decide if you want to enable HA for the gateway. 1. Create a gateway in a VNet where you like to connect to enterprise datacenter. The gateway is launched in different subnet from the user subnets. In this example, the gateway is deployed on Subnet1. 2. (Optional) If HA is enabled, create a backup gateway in the same VNet. The gateway may have VPN access disabled. a. Select the VPC/VNet Name where Aviatrix gateway for encryption is launched. i. At Gateway field, select a gateway launched earlier for encryption. i. At Primary Gateway field, select a gateway launched earlier as primary gateway. ii. At Backup Gateway field, select a gateway launched earlier as backup gateway. e. At Remote Gateway IP Address, enter the private IP address of the edge router for Enterprise datacenter. f. At Remote Network, enter network CIDR of the Enterprise datacenter. If there are multiple subnets, enter each one separated with comma. g. Check Encryption over ExpressRoute/DirectConnect. h. At Route Table To Modify field, select the route table(s) associated with subnet2 and subnet3 . c. If your remote edge device is not listed in the dropdown menu, simply select an available one in the menu. d. Click “Download Configuration” to download a template file that contains the gateway public IP address, VPC CIDR, pre-shared secret and encryption algorithm. Incorporate the information to your remote router/firewall configuration. 5. At the Enterprise datacenter or remote site, configure encryption on the edge device. Make sure your peer network is Subnet2 and Subnet3, as shown in this example.